Pembrokeshire Web designer Chris Atkinson is doing well after finishing his course of chemotherapy for MS. So far Chris has experienced no side effects from his 5 days of treatment in...	Read more.. Here is the email we received after finishing Gwylan UK Ltd's website - "Thanks for the changes, looks great and appreciate taking the time to clearly explain the edit process. Overall...	Read more.. Logo turned Into Beach Art In Tenby, Pembrokeshire. This photo shows Gwylan UK Ltd's logo being tuned into a giant sand picture on Tenby beach, Pembrokeshire. Gwylan, is a brilliant new firm that provide yoga and mindfulness training in...	Read more..
Review the wording on your website and at the same time make sure your key words are still relevant.One of the key things to consider when you do update your...	Read more..
Pembrokeshire Website Design ‘Wows’ Client! "Wow! Amazing job done here, I am very pleased,Regards Philip" This was the email we got back after sending Philip our concept design for his new website. He really loved it! Before...	Read more.. Here is a great A5 presentation folder that we have just designed and printed in Pembrokeshire for Gwylan UK Ltd. What's more they were delighted with them, so much so...	Read more.. If you are looking for a magnetic car sign in Pembrokeshire call Modern Print & Design today on 01646 682676. Magnetic signs are perfect for business owners who want to use...	Read more..
One of Google's main priorities when determining your search engine ranking is the quality and relevance of the information on your website. Try to write engaging, quality content that has...	Read more..
Free Web Marketing Tip – Drive traffic to your website using outside links! Make sure your social media accounts all have your correct contact information on them and a link back to your website. If you don't have your website linked, you're losing...	Read more..
Pembrokeshire Dental Center Calls To Thank Designers For Their Printed Floor Mat! Here's a brilliant printed floor mat that we have designed and supplied to the Pembrokeshire Dental Center in Newport. The printed mat features the practice logo and comes with a special...	Read more.. Camper Van Escapes Chose Pembrokeshire Web Designers! Camper Van Escapes have just placed an order for a new website with our Pembrokeshire web designers! Business owner David Silcox wanted a site that was fully web optimised for key...	Read more.. If you are looking for website designers in Pembrokeshire look no further that Modern Print & Design. Our designers will give you the benefit of years of experience that will...	Read more..
"Hi Trevor / Leo, I just wanted to thank you for the high quality work you have done and also that you have met some quite tight deadlines. Many within the...	Read more..
New Customer Loves The Service They Are Getting! 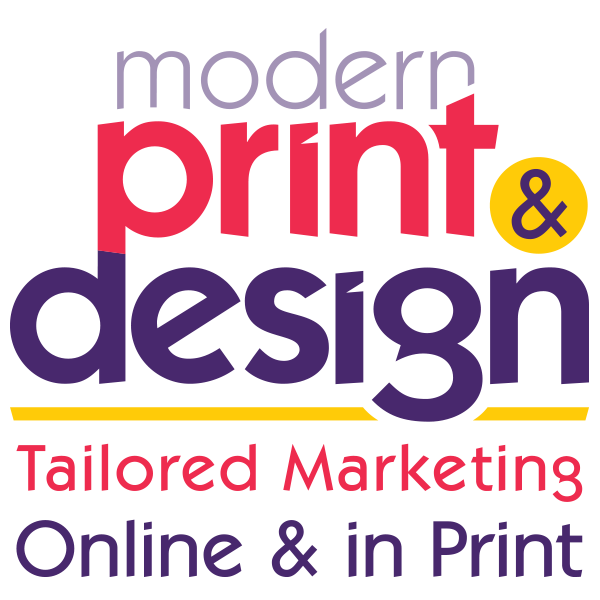 Gwylan,a new and exciting Pembrokeshire business love the service they have been getting at Moder Print & Design. Here is what they emailed them - "Fantastic progress. You're a great company...	Read more.. Here is a leaflet our Pembrokeshire designers have just created for Tenby based JPR Elevations. They were blown away by the design. The reason blue was used was to create the...	Read more..
Free Web Marketing Tip – Start collecting online reviews to boost your business and your website! When you buy something online, how to you narrow down your choices? Do you read customer reviews before deciding where to buy your next laptop or where to stay on...	Read more.. The Plum Tree cafe approached our studio to design their new branding and logo in Pembrokeshire. What they wanted was a bold, modern logo design that could be used on...	Read more.. Call today to arrange a free review of your logo, brand and marketing material. After all if you have the right brand and marketing, half your work is done before...	Read more..